A strange stone found in the Moroccan desert was the talk of the recent Lunar and Planetary Science Conference. 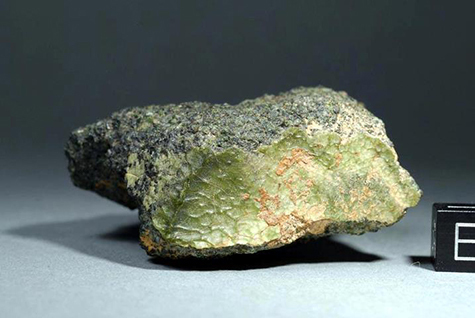 The stone has highly unusual chemistry, suspiciously like that found by the Messenger space probe, which is currently surveying the surface of Mercury. If it was from Mercury, it would be the first meteorite from that body ever found. The prospects was thrilling but doubts crept in. WUSTL's Randy Korotev, a lunar meteroite expert, explains the arguments for and against Mercurian origin.